When engaging the services of an electrical contractor, it is always wise to ask and make sure you will be provided with an official electrical safety certificate for all work carried out on your property, regardless of type of electrical work for business or home. 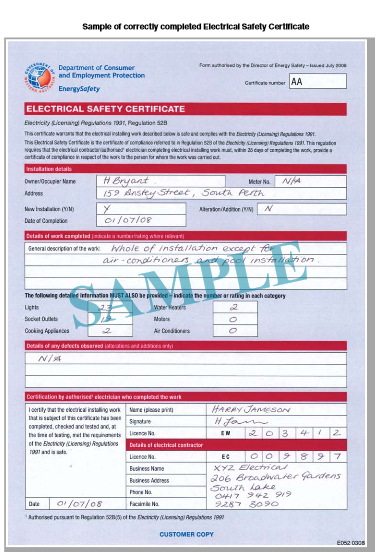 This certificate pictured is an electrical safety certificate filled out and completed correctly. The certificate you are issued with at the completion of work should look exactly like this. 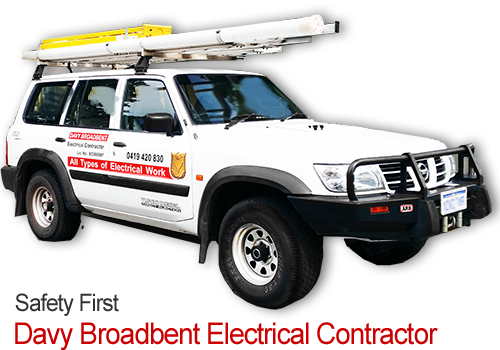 If you have not been issued with an electrical safety certificate by another electrical contractor there is certainly cause for concern. 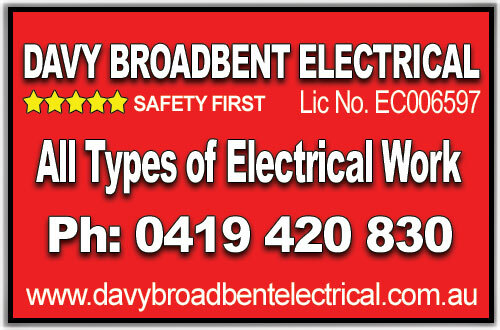 Please feel free to contact Davy Broadbent Electrical, Armadale Electrician for helpful advice and local service. Or send Davy a message by email from the contact page here.